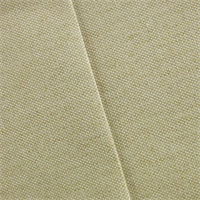 -Traditional 4 by 1 canvas woven with linen and cotton for natural look-Weight: Heavy-Transparency: Opaque-Hand: Textured-Stretch: No Stretch-Drape: Stiff-Luster: Matte-End Uses: Upholstery, ottomans, headboards, and more-Compare to $28.00/ydNeed a Sample? Order 1/8yd. 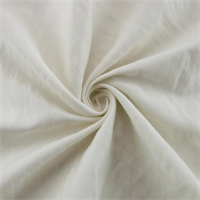 -Slightly wrinkled surah twill-Weight: Light-Transparency: Opaque-Hand: Smooth-Stretch: No Stretch-Drape: Good Drape-Luster: Low Luster-End Uses: pillows, drapery, light upholstery and more-Compare to $18.00/ydNeed a Sample? Order 1/8yd. 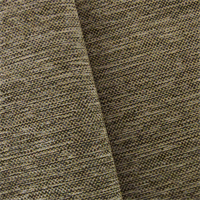 -Textured plain woven fabric interwoven with shades of gray and deep beige-From Ameritex Home-Poly coated back for stability -Weight: Heavy-Transparency: Opaque-Hand: Dry-Stretch: No Stretch-Drape: Stiff-Luster: Matte-End Uses: sofas, ottoman, upholstery, and moreNeed a Sample? Order 1/8yd. 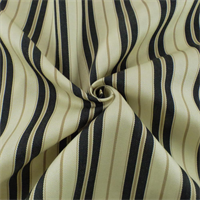 -Vertical yarn dye striped rib weave with a muted neutral color palette-Weight: Medium-Transparency: Opaque-Hand: Dry-Stretch: No Stretch-Drape: Full Body Drape-Luster: Matte-End Uses: pillows, upholstery, window treatments and moreNeed a Sample? Order 1/8yd. 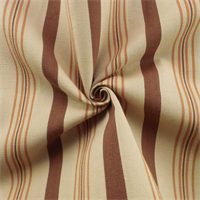 -Vertical yarn dye striped rib weave with a muted warm color palette-Weight: Medium-Transparency: Opaque-Hand: Dry-Stretch: No Stretch-Drape: Full Body Drape-Luster: Matte-End Uses: pillows, upholstery, window treatments and moreNeed a Sample? Order 1/8yd. 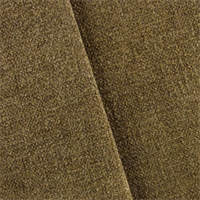 -Textured woven chenille-Poly kiss back to prevent unraveling-From Bartson Fabrics-Weight: Heavy-Transparency: Opaque-Hand: Textured-Stretch: No Stretch-Drape: Little Drape-Luster: Low Luster-End Uses: Sofas, ottomans, pillows, heavy drapes, and moreNeed a Sample? Order 1/8yd. 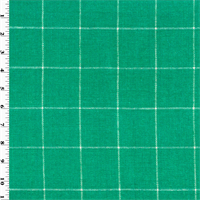 This teal yarn dyed check fabric from Company C is a slub plain-weave fabric with a lot of body and dry hand. 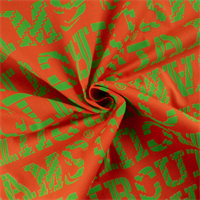 The energizing fabric would be best suited for pillows or cushions. Coated back to prevent unraveling.Need a Sample? Order 1/8yd. 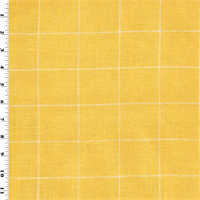 Bright sun yellow and white yarn dyed check fabric from Company C is a slub plain-weave fabric with a lot of body and dry hand. 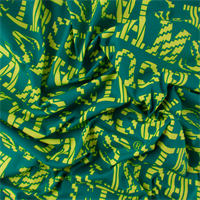 The energizing fabric would be best suited for pillows or cushions. Coated back to prevent unraveling.Need a Sample? Order 1/8yd. 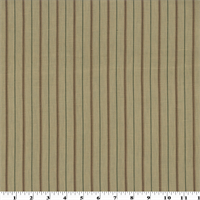 This balanced vertical stripe design places brown, beige, and gray on a light brown ground of 100% linen plain-weave canvas fabric. 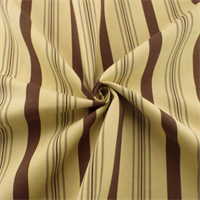 It is ideal in numerous home decorating applications as pillows, curtains, and more.Need a Sample? Order 1/8yd. 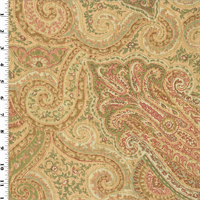 This fancifully organic paisley print from Laura Ashley uses a pallet of beige, pink, magenta, green, and ivory. It incorporates areas of glitter pigment for a subtle glint to the fabric surface. 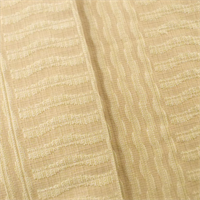 The design is fashioned on a linen plain-weave fabric and is versatile in many home decorating applications, from drapery to seating.Need a Sample? Order 1/8yd. 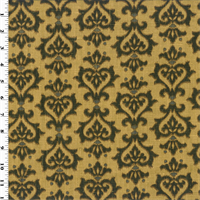 This decorative print uses beige, brown, black, and some subtle blue. 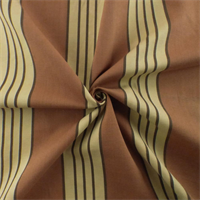 The design is fashioned on a linen plain-weave canvas fabric and is versatile in many home decorating applications, from drapery to cushions.Need a Sample? Order 1/8yd.